Did you know that alcohol consumption before and after a Botox or Dermal Filler injection can adversely affect the outcome of your treatment? 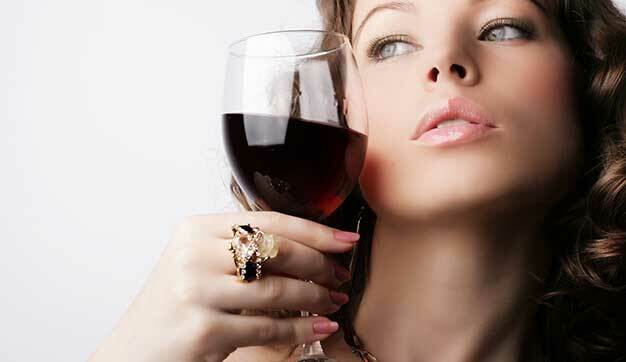 Alcohol has direct effects on platelet function, which can cause your blood to form a clot. This can thin your blood just like aspirin, which can cause bruising and swelling. With any injection, there are risks such as pain, bleeding, bruising, redness, swelling, tenderness, and infection. Consumption of alcohol before your treatment may increase the chance of bruising despite the skill of the practitioner. No one wants to bruise, so to avoid this from happening be sure to stay away from alcohol for up to 24 hours before and after your Botox or Dermal Filler treatment. Patients should also avoid aspirin, aleve, motrin, and vitamin E one week before their injections. There are varying opinions from physicians as to whether or not the effects of alcohol and other aftercare precautions affect the outcome of Botox and Dermal Filler treatments. The bottom line is that alcohol will not affect the Dermal Filler or Botox itself, but it does have the chance of exacerbating some other side effects. To have optimal results speak with your practitioner and get all the information on what you can do before and after your treatment.